For nearly 100 years, Arizona’s Children Association has stayed true to its mission of Protecting Children and Preserving Families, serving more than 46,000 children and their families in all 15 counties in the state each year. In Mohave County, Arizona’s Children Association provides the following services: Interstate Compact for the Placement of Children (ICPC), In-Home Family Support, Skills Training And Respite (STAR), Independent Living Skills, Foster Care, Adoption and Bright Start. 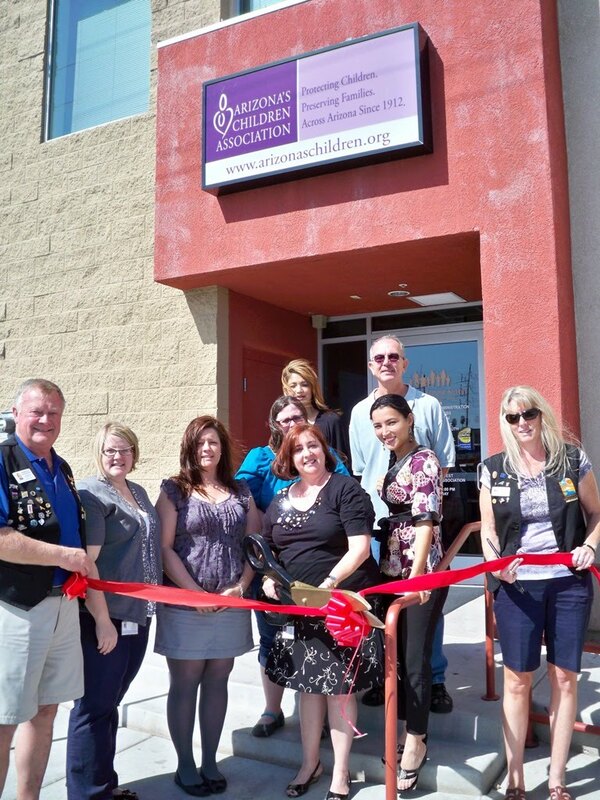 The Lake Havasu Area Chamber Ambassadors held a ribbon cutting ceremony for Arizona’s Children, on hand for the event from left to right: Marshal Ronningen, Laura Gulbranson – Licensing Specialist, Jen Green – Family Resource Assistant, Noma Byerley – Office Manager/HR, Vanessa Lobo – Family Resource Specialist, Liz Diego – Data Coordinator, Jennifer Cacho – Program Coordinator, John Michel – Recreation Specialist and Audrey Hoyt. 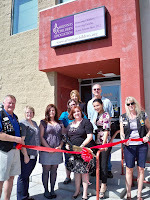 Please visit www.arizonaschildren.org to learn more about the programs and services offered.